AXIS F34 Surveillance System. 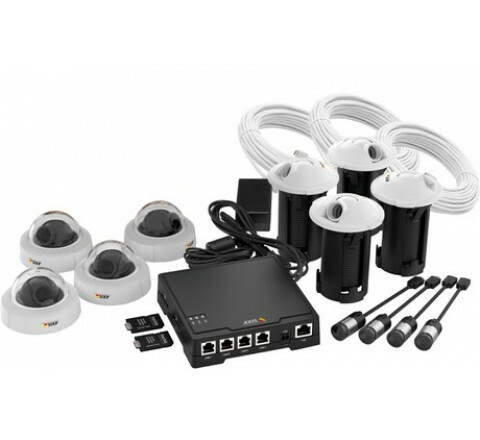 Includes one AXIS F34 Main Unit, 4 x AXIS F1004 Sensor Units, 4 x AXIS F8214 Dome Accessory, 4 x AXIS F8224 Recessed Mount, 4 x AXIS F7315 Cable White 15 m (49 ft) for connecting sensor units to the main unit and 2 x AXIS Surveillance microSDXC card 64 GB. Comes with a power supply.